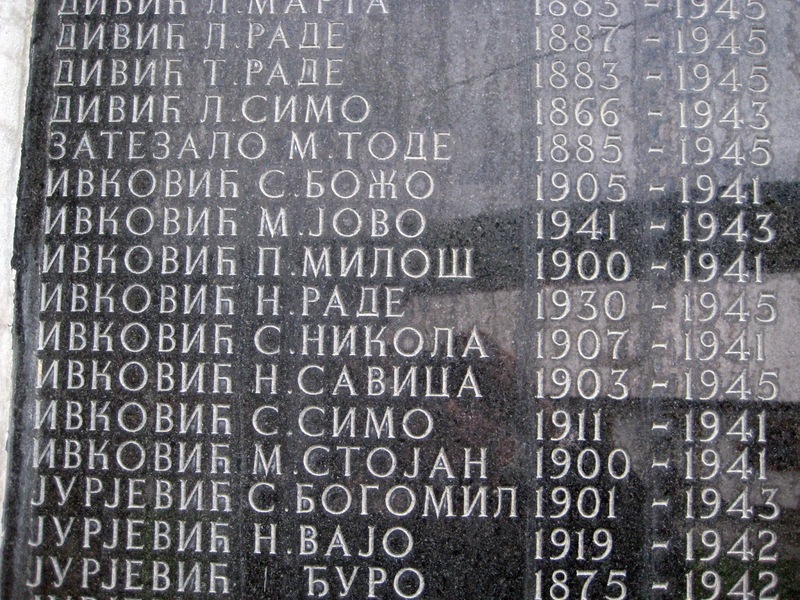 General Draža Mihailovich: THE RIGHT TO KILL - A message from a descendant of the surviving victims, Bosko Ivkovic, to all those who were killers in his village and their descendants. 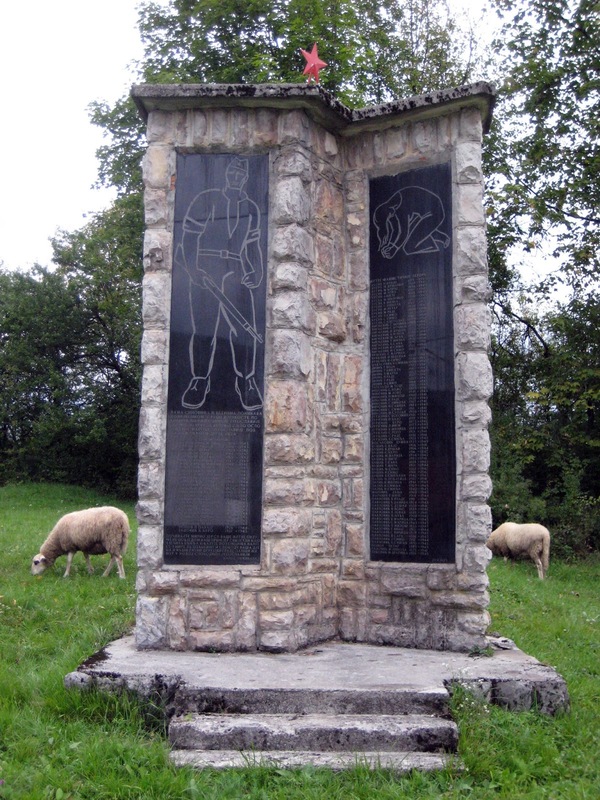 THE RIGHT TO KILL - A message from a descendant of the surviving victims, Bosko Ivkovic, to all those who were killers in his village and their descendants. in Ponikve, Croatia. Photo by Bob Ivkovic Autumn 2015.
Who gave you the right to kill? Who gave you the right to enter my mother's home and slit the throats of six old women and a sixteen-year-old boy, just after you butchered my great grandfather in front of the shed? Who gave you the right to kill the people in our village? 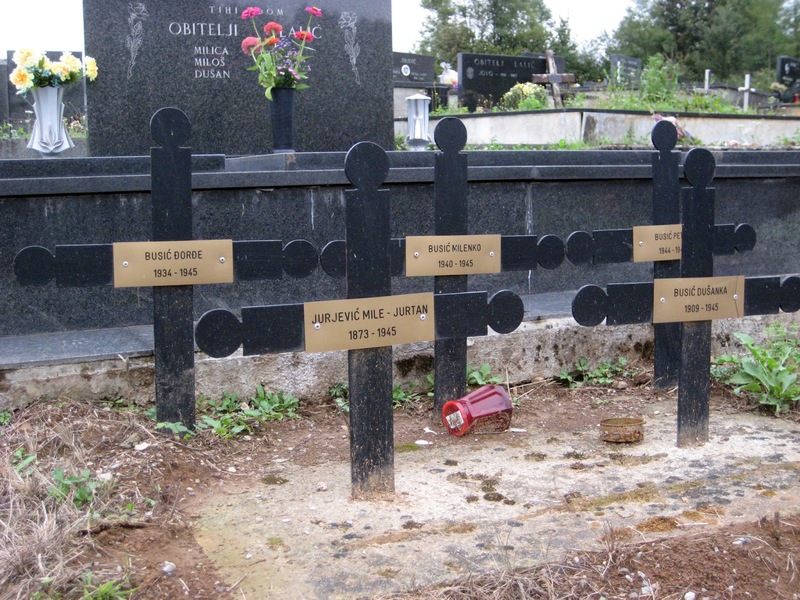 And why all those innocent children who had never even known that they were Serbian or what being Serbian was, or had parents who didn't understand that they prayed to a different Christian God and shared the innocence of their children. If it was God who gave you the right to kill, I will accept your God. I will accept that there is only one God, your God, who has the holy right to judge and punish me in his heavenly court. I will accept my destiny to the hell that you have intended for me. However, I will always wonder why I deserved this hell. For you never gave me a reason or the answers as to why you are worthy and I am not. When you can answer these questions with God as your witness, I will accept the fate of my family. I too will wish for all Serbs, Jews, and Gypsies to be eradicated by the grace of your God – a God who repudiates Serbs and their Orthodox Christian faith. I will accept that your people are the chosen people, chosen by God, and that we do not belong on this earth. I will spare you and kill myself if I can develop the courage. If not, I will, with free will, allow you to kill me, just as Vukasin of Klepci was martyred by the same people who had killed in my village. But until that time, I will believe that I'm a Christian with the same God, and I’m just as worthy as you in the eyes of God, maybe even worthier because I didn't kill, nor do I celebrate those who have killed, nor could I kill you or anyone else. I am worthy because I do not have blood on my hands. I am worthy because I have pure thoughts. I am worthy because I believe in a Christian God. I am worthy because I see us all as human beings, and I accept that others may pray to their own God. I am worthy because I do not hate anyone. If I could change one thing, it would be that you would have killed the victims without emotion, without the butchery and gruesome torture that I heard through the stories told by my parents and other surviving villagers. I cannot erase the images of the babies who were hurled into the air and impaled with knives. I cannot imagine being a parent and forced to watch someone slit the throat of my own child. I cannot imagine what I am able to imagine, especially the torture and murders which had no witnesses. May God have mercy on all of us. And if it was your God and a God who wanted to purify Croatian lands, may he have mercy on Franjo Mance, Alojz Troha, and other Ustashe who committed atrocities in the name of God in the village of Ponikve and all other Serbian villages. 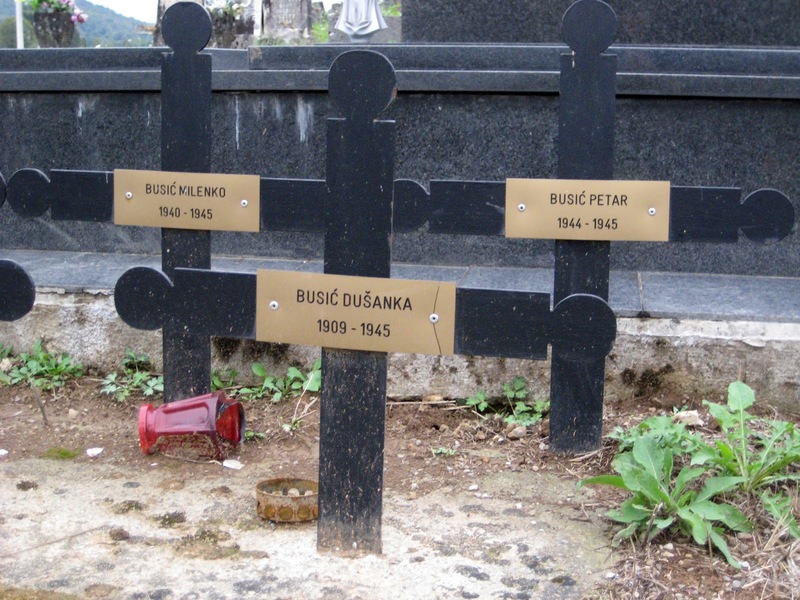 - A message from a descendant of the surviving victims, Bosko Ivkovic, to all those who were killers in his village and their descendants. The tombstones of one of the Serbian families who were murdered by the Croatian Nazis, the Ustashe, in Ponikve, Croatia in 1945. Pay attention to the age of death of some of the victims. Serbian children in the villages were not spared. 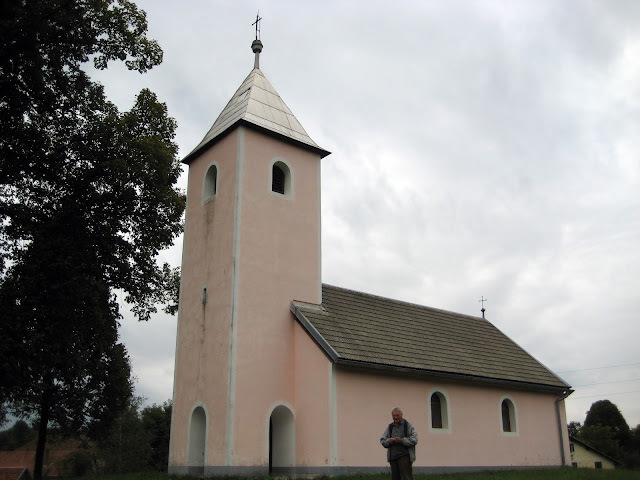 Hram Preobraženja Gospodnjeg u Ponikvama / Iconic Serbian Orthodox Church in Ponikve, Croatia. This church was severely damaged and looted by the Croatian Nazis, the Ustashe, in 1941, but later restored. Photo by Bob Ivkovic Autumn 2015.